Die neue Woche läutet einen ereignisreichen Oktober ein. Leser englischsprachiger Literatur werden kommende Wochen ein gutes Stück ihres Geldpolsters verlieren, aber auch Sammler in Deutschland werden nicht ganz außen vor gelassen. Dieser abschließende Band ist im Hardcover-Format als Messe-Special auf der Comic Action in Essen, im Comicfachhandel und Panini-Shop erhältlich. Eine Leseprobe gibt es hier. 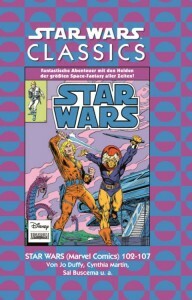 Die Softcover-Ausgabe des letzten Classics-Bands kommt am 12. Oktober und ist hier vorbestellbar. 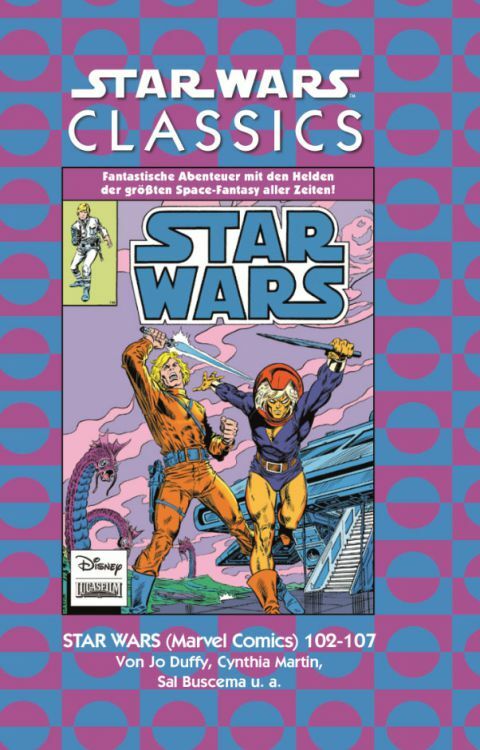 ES WAR EINMAL VOR LANGER ZEIT IN EINER WEIT, WEIT ENTFERNTEN GALAXIS … Als es die Leinwandhelden aus Star Wars 1977 auch geschafft haben, Comic-Helden zu werden, nahm ein ganz neues Kapitel der Weltraum-Saga seinen Anfang. Die politische Lage ist immer noch sehr instabil, da immer wieder Splittergruppen auftauchen, die versuchen die Friedensbemühungen der Allianz zu untergraben. Da ist es von Vorteil, dass sich Luke und seine Freunde zumindest auf Kiro und die Zeltroner verlassen können. Gemeinsam versuchen die Verbündeten das Schicksal der Galaxis in die richtigen Bahnen zu lenken. Der vorliegende Sammelband vereint die US-Ausgaben 102-107. Die Origami-Yoda-Reihe findet in diesem Band ihren Abschluss. In diesem Sammelband von Del Rey sind neben den Romanen A New Dawn und Tarkin auch drei brandneue, exklusive Kurzgeschichten enthalten - Details zu diesen gibt es hier. Der Band erscheint auch als E-Book. Das Taschenbuch hat in etwa das Format der Hardcover-Romane von Del Rey. 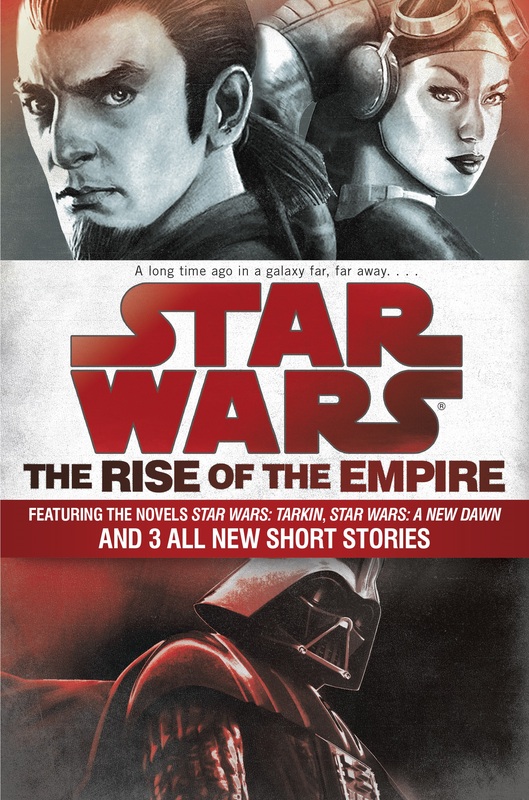 Prepare for the journey to The Force Awakens with the first two novels in the new era of Star Wars storytelling—plus exclusive short stories by John Jackson Miller, Melissa Scott, and Jason Fry! Ever since the Jedi were marked for death, Kanan Jarrus has devoted himself to staying alive rather than serving the Force. So when he discovers a conflict brewing between Imperial forces and desperate revolutionaries, he’s not about to get caught in the crossfire. Then the brutal death of a friend forces him to choose between bowing down to fear or standing up to fight. But Jarrus won’t be fighting alone. Soon he is joined by Hera Syndulla—a mysterious agent provocateur with motives of her own, in challenging the Empire for the sake of a world and its people. Under Governor Wilhuff Tarkin’s guidance, an ultimate weapon of unparalleled destruction—the so-called Death Star—moves ever closer to becoming a terrifying reality. Until then, insurgency remains a genuine threat. 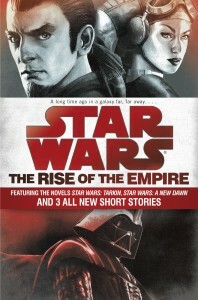 Guerrilla attacks by an elusive band of freedom fighters must be countered with swift and brutal action—a mission the Emperor entrusts to his most formidable agents: Darth Vader, the fearsome new Sith enforcer, and Tarkin, whose tactical cunning and cold-blooded efficiency will pave the way for the Empire’s supremacy—and its enemies’ extinction. 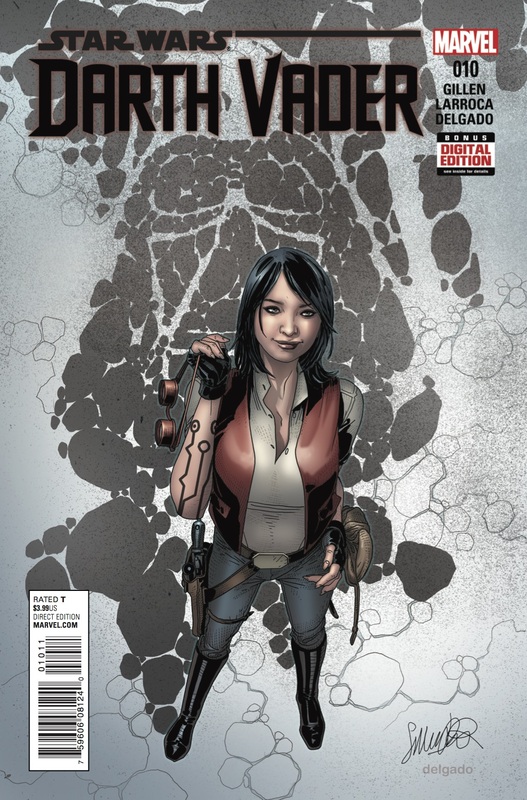 Der allererste Sammelband von Marvels neuen Kanon-Comics kommt mit der Geschichte aus Star Wars #1 bis 6 daher. Weitere Sammelbände folgen in den kommenden Wochen. 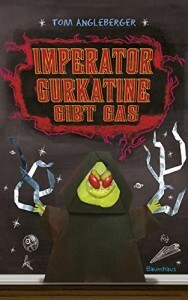 Die von den Fans gefeierte Jugendromanreihe Servants of the Empire findet hier ihren Abschluss. Auf Deutsch erscheint dieser Band im Februar bei Panini. 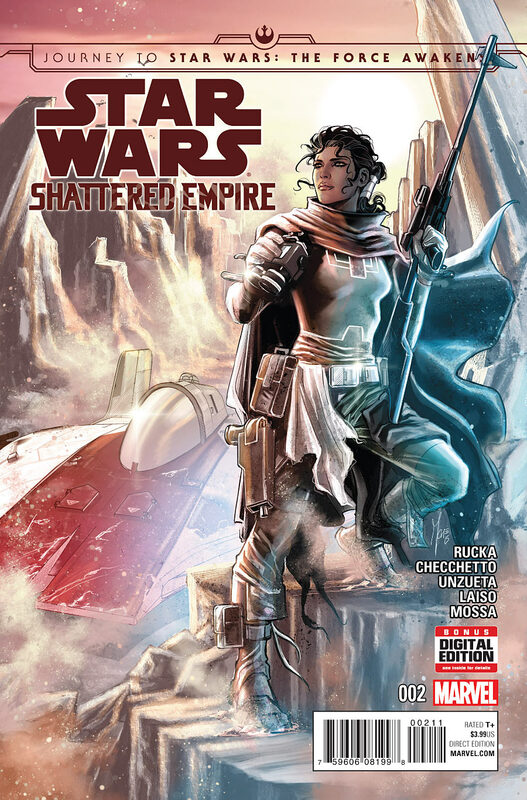 The exciting conclusion to Jason Fry’s Servants of the Empire series, starring rebel spy Zare Leonis. What if you uncovered a conspiracy that reached to every corner of the Galactic Empire–and you were the only one who knew about it? This action-packed conclusion to the Servants of the Empire tells an original story of intrigue, espionage, and coming of age, all set in the world of Star Wars Rebels. Die illustrierte Enzyklopädie zur ersten und zweiten Staffel von Star Wars Rebels! Dieser Band erschien tatsächlich bereits am 24. September unter dem Titel Angriff der Rebellen auf Deutsch. 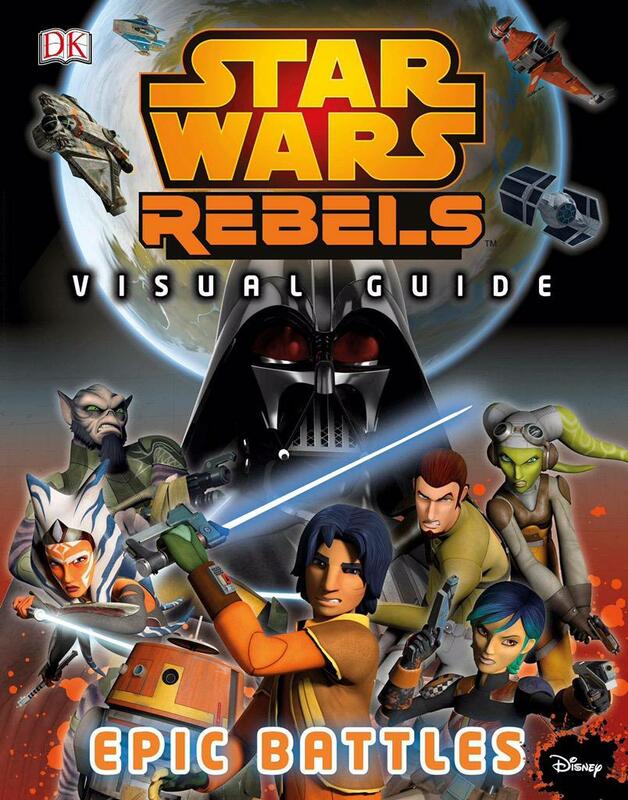 An in-depth look into the characters, locations, and themes from the first and second season of Star Wars Rebels. Star Wars Rebels™ Visual Guide: Epic Battles is a fact-filled companion to the first and second series of the newest Star Wars animated television series. 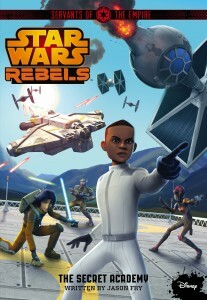 Star Wars Rebels™ is set between the events of Episodes III and IV, and the Visual Guide depicts all the galactic escapades, interesting vehicles, and fun characters fans have come to love. Ein Magnetspielset zum neuen Film Das Erwachen der Macht. 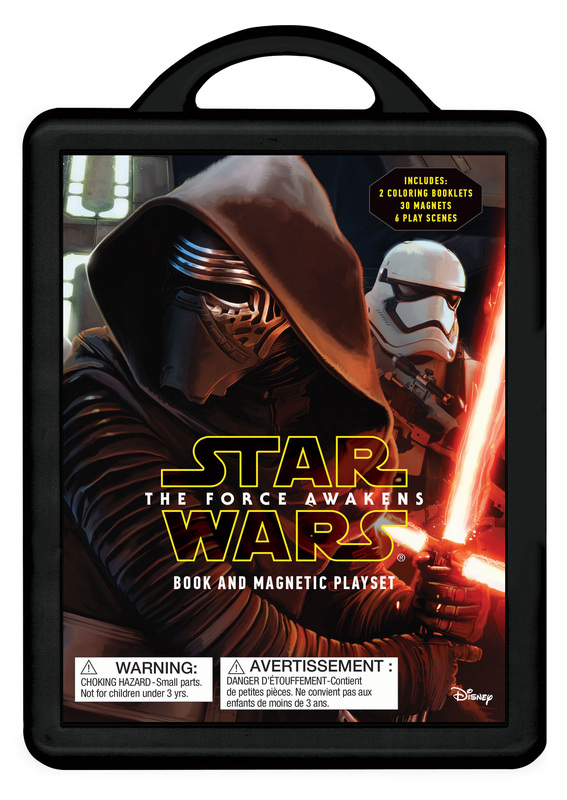 Magnetic Book and Play Set including two 16-page coloring and activity books, 6 play scenes, over 40 magnets. The handle will be on top of the case. 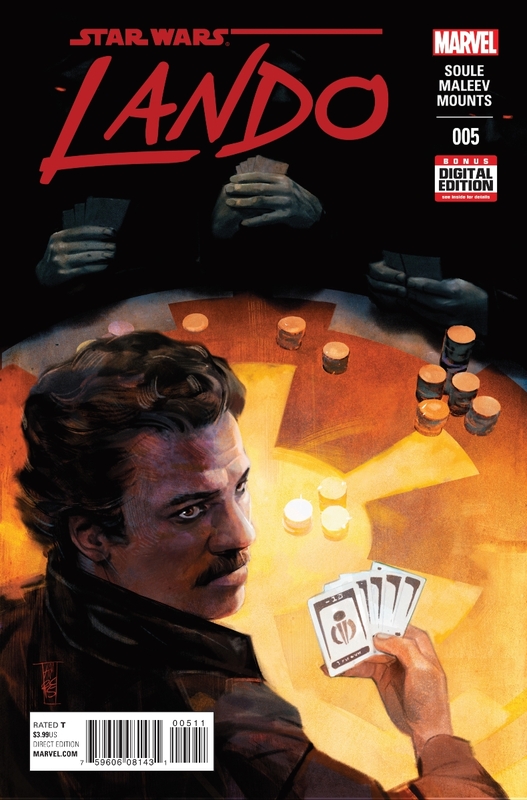 Die Direktmarkt-Variantausgabe des Cover-Sammelbands ist nur über den Comicfachhandel erhältlich. Die reguläre Ausgabe ist ab nächste Woche ebenfalls über den Comicmarkt verfügbar, wird allerdings erst ab dem 20. Oktober über den Buchmarkt beziehbar sein. 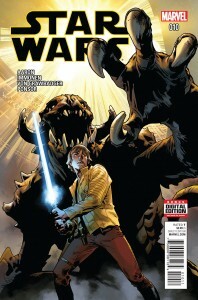 Star Wars has returned to Marvel, and a galaxy of comic-book stars have joined the celebration! 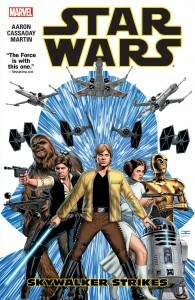 Welcome back Luke, Leia, Han, Chewie, Artoo, Threepio, Darth Vader and the rest as you’ve never seen them before in this astonishing collection of covers from the likes of John Cassaday, Joe Quesada, Alex Ross, Skottie Young, J. Scott Campbell, Salvador Larroca, Terry Dodson and plenty more! 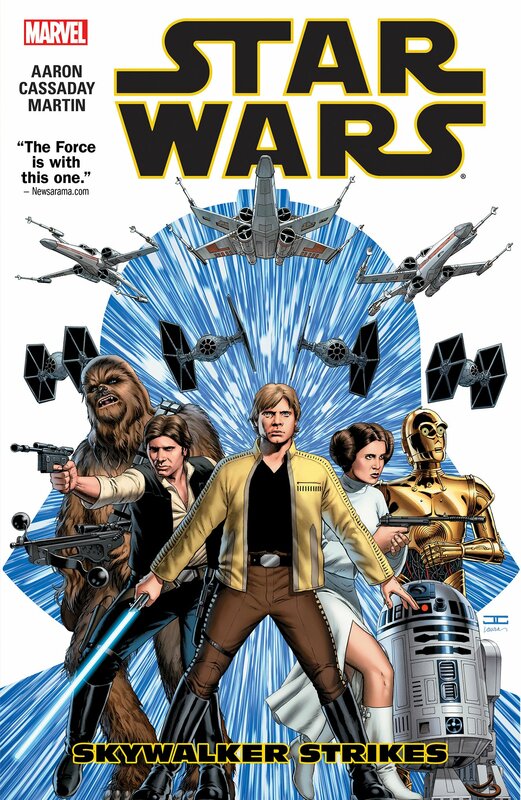 Featuring every illustrated variant of the million-selling STAR WARS #1, plus all the covers of STAR WARS #2-6, PRINCESS LEIA #1-5 and DARTH VADER #1-6. 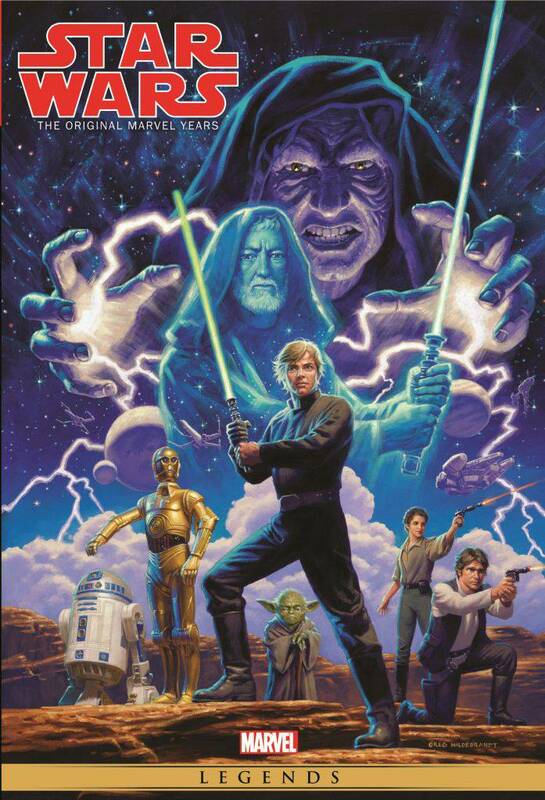 Then prepare to be wowed by the new cover art from Marvel’s classic STAR WARS collections, including Adi Granov’s sensational takes on the original trilogy. It’s packed with special features, but this is one book you should judge by its covers! Auch hier handelt es sich um die Direktmarkt-Variantausgabe und auch hier ist die reguläre Ausgabe bereits nächste Woche im Comicfachhandel erhältlich, während der Buchmarkt sie erst am 20. Oktober bekommt. 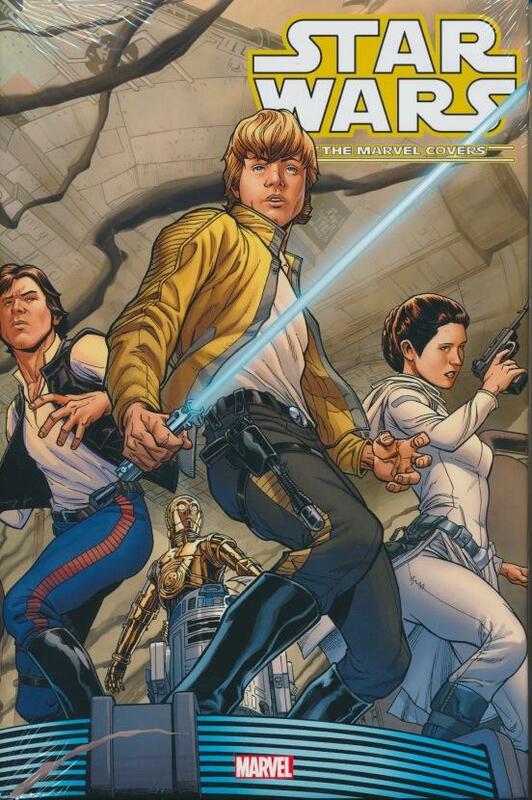 The original Star Wars comic-book saga concludes! Savor an all-action adaptation of Star Wars: Episode VI – The Return of the Jedi, and find out what happens after the Battle of Endor! Luke, Leia and their allies seek to establish a new galactic government – but Imperial Forces still stand in the way. When Darth Vader falls, a Dark Lady will rise! Meanwhile, Han Solo and Chewbacca head to Wookiee World! The Ewoks go to war! And tragedy strikes close to C-3PO – could it be that even a droid can cry? 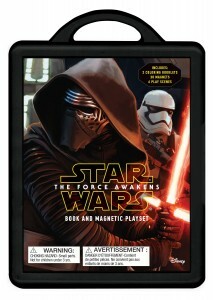 Plus: a cornucopia of Star Wars rarities – including exclusive stories only published in the UK! Vader has a new mission to do for the Empire. Unfortunately, it’s completely at odds with his own mission. What’s a Dark Lord to do? It began as the heist of a lifetime…now it’s a fight to survive! But with this conclusion, they will never be the same. Hiervon erscheint Anfang 2016 bei Ravensburger eine deutsche Ausgabe. A collectible tin is the perfect gift for Star Wars fans of any age! 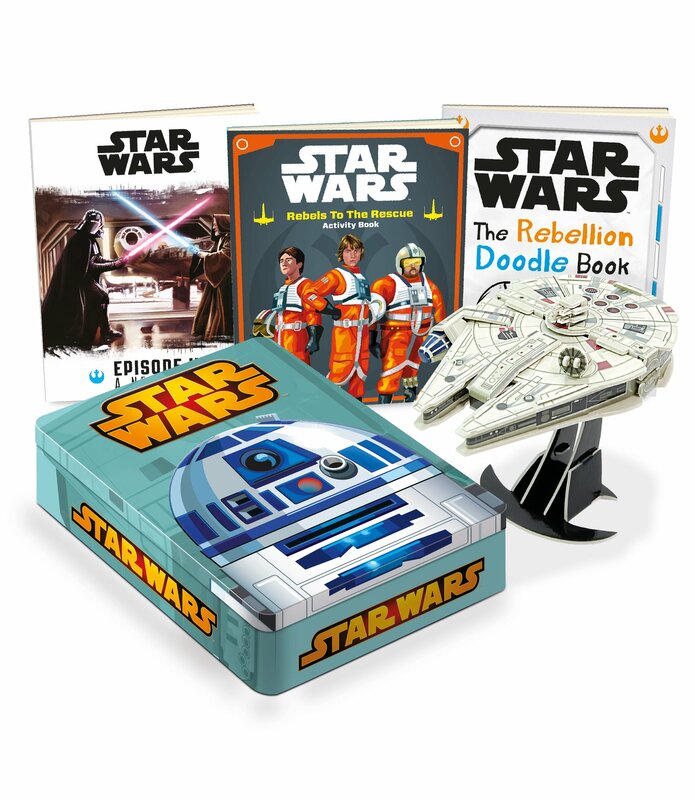 Based on the second installment of the classic trilogy, this beautifully illustrated tin contains: a doodle book – sketch, colour and recreate your favourite Star Wars characters; an activity book – puzzles, word games, fun trivia and more! This is a story book – a captivating retelling of The Empire Strikes Back by Ryder Windham and illustrated by Brian Rood. You can press out pieces to build your very own AT-AT! 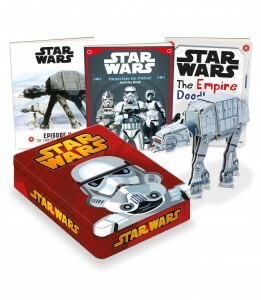 A collectible tin is the perfect gift for Star Wars fans of any age! Based on the first installment of the classic trilogy, this beautifully illustrated tin contains: a doodle book – sketch, colour and recreate your favourite Star Wars characters; an activity book – puzzles, word games, fun trivia and more! 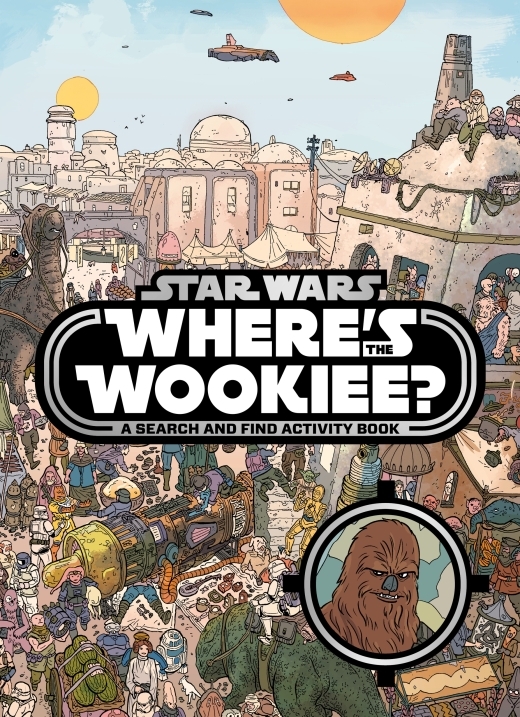 This is a story book – a captivating retelling of A New Hope, by Ryder Windham and illustrated by Brian Rood. 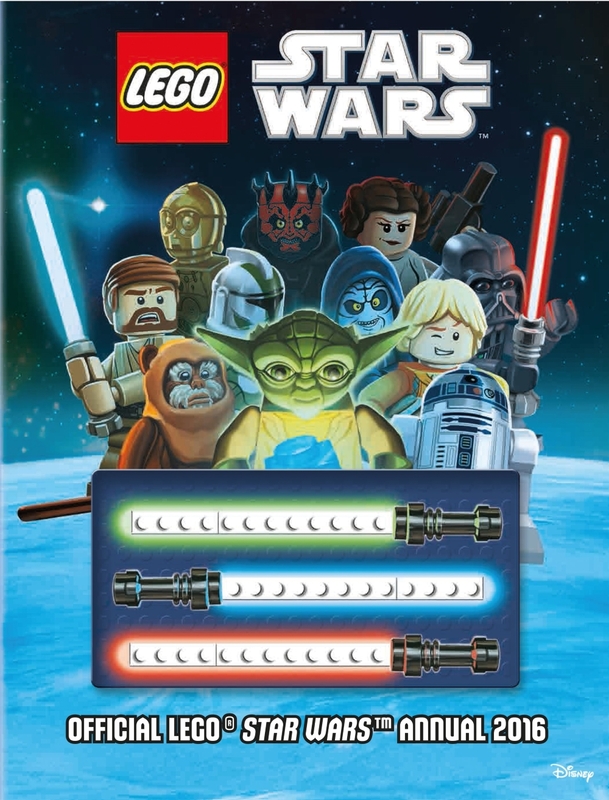 You can press out pieces to build your very own Millennium Falcon. The official LEGO Star Wars Annual is packed with puzzles, comic strips, mazes and much more! Ist bei dieser Unmenge an Neuerscheinungen etwas für euch dabei? Schreibt es uns in die Kommentare. Weitere Neuerscheinungen bis Ende 2016 findet ihr in dieser Übersicht. Wir wünschen euch ein schönes Wochende! Der Coverband ist interessant. Nur ich glaube nicht dass er alle Varianten der genannten Hefte enthält. Was ist mit den gestern angekündigten Nachdrucken, diese wir er wohl nicht enthalten. Aber sollten diese dann im 2. Band ergänzt werden, würde ich bestimmt zuschlagen. Btw: Panini scheint momentan recht flott zu sein, da gestern die komplette KW42 an mich rausgegangen ist. Inkl. Leia HC! 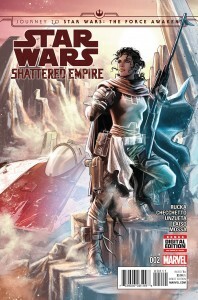 Hach, „Shattered Empire“. Je mehr ich davon sehe, desto mehr freue ich mich auf den kommenden Panini-Sonderband.